See a penny, pick it up, all day long, you’ll have good luck! 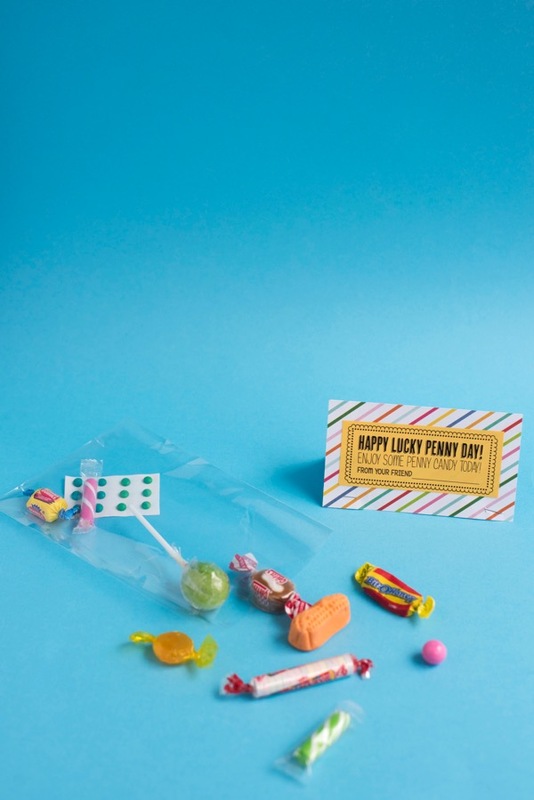 Did you know National Lucky Penny Day is on May 23rd? 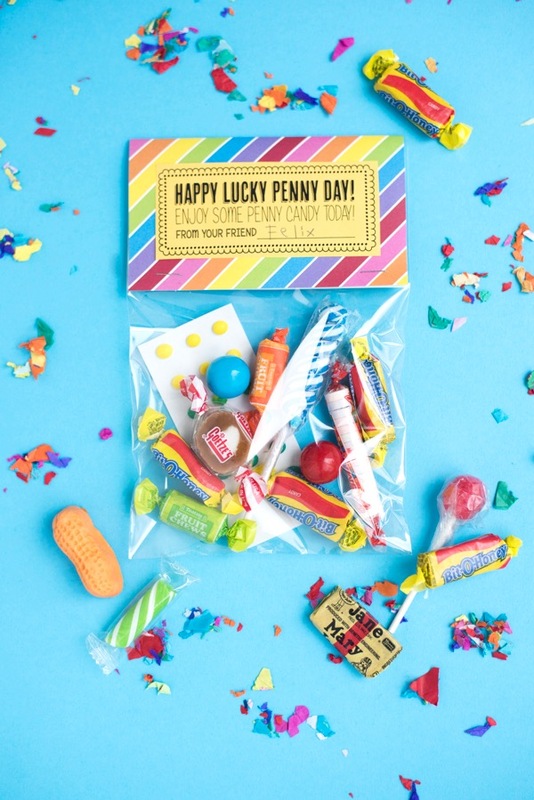 When you are out and about, look for pennies on the ground, but in the meantime, hand out these penny candy treat bags while you’re at it! 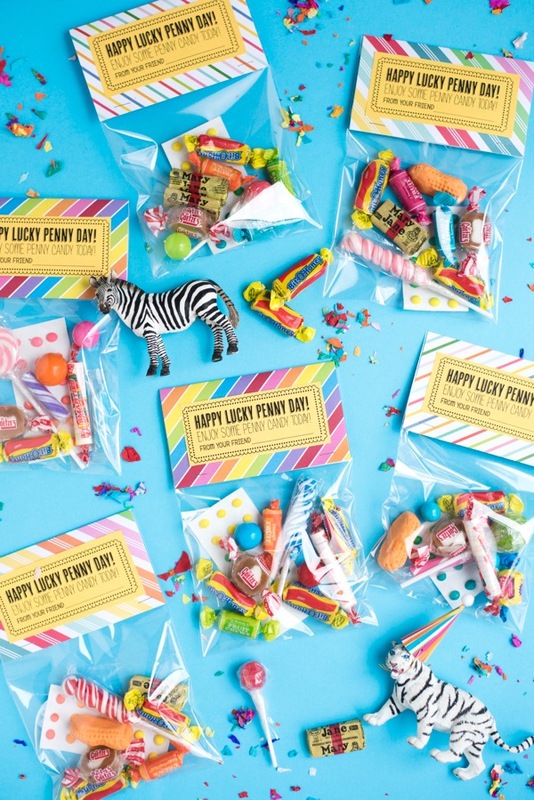 Materials needed: 8” x 5.25” cellophane bags, Penny Candy Tags Template, rainbow patterned card stock or scrapbook paper, ruler, scissors, glue or double stick tape, stapler, penny candy. 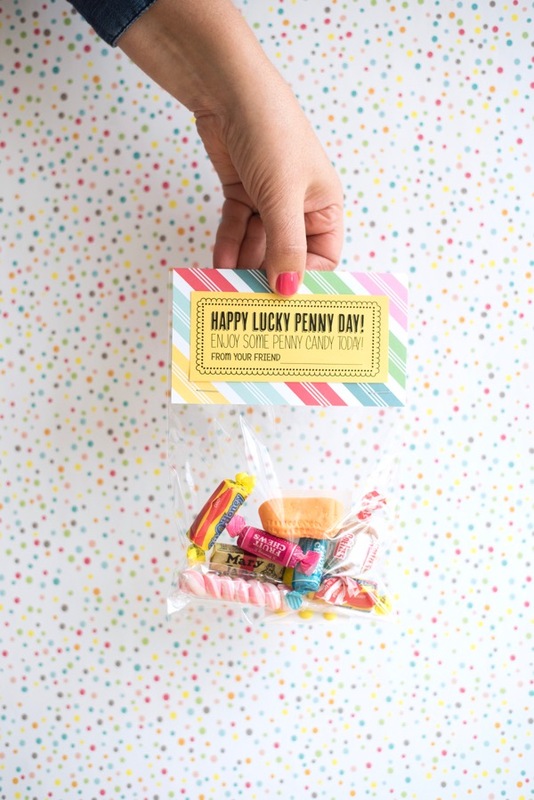 Step 1: Download, print out and cut out the labels from the Penny Candy Tags Template. Step 2: Cut a 5.25” x 6” rectangle out of rainbow printed scrapbook paper, fold it in half, and glue the label to the center of the front flap. 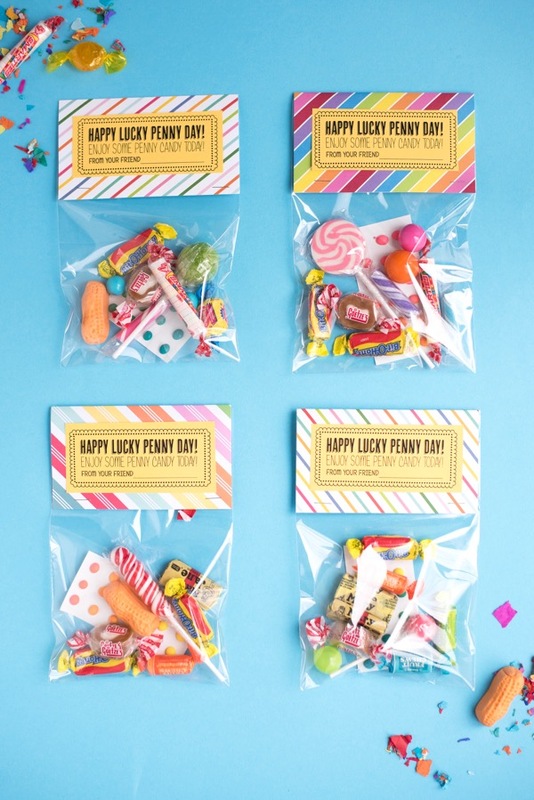 Step 3: Fill 8” x 5.25” cellophane bags with a mix of old-timey penny candy. 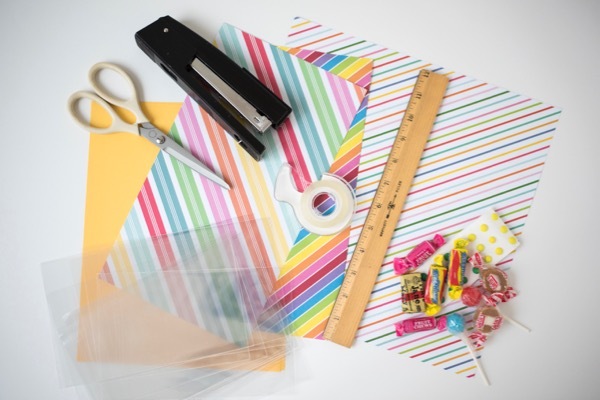 Fold the rainbow label over the top of the bag, and staple closed on each side of the label.